The verbal spat between the Bharatiya Janata Party (BJP) and the Samajwadi Party over Uttar Pradesh Chief Minister Yogi Adityanath's 'Surya Namaskar-Namaz' remark escalated to another level on 1 April, 2017 with the saffron party alleging Azam Khan of playing divisive politics. BJP leader Shrikant Sharma said Khan had been unable to accept the defeat in the Uttar Pradesh Assembly elections adding his tactics would not work anymore. "Somewhere, we had been following the culture of Europe but under Narendra Modi's leadership, not just India but many other developed countries are adopting Yoga and Surya Namaskar. People like Azam Khan have been always resorting to divisive politics. The tactics of Azam Khan will not work anymore. If he has some suggestions for us, then he can give it in a constructive manner. This divisive politics won't work in Uttar Pradesh anymore," Sharma told ANI. 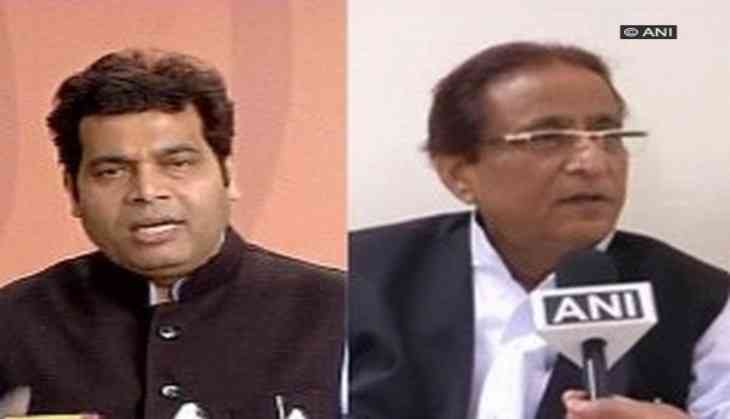 Maintaining a similar stand, BJP spokesperson Shahnawaz Hussain dubbed Azam Khan's statement as 'unfortunate' and stated that he had always worked towards dividing the society. "Whatever Yogi Adityanath said about the similar postures in Surya Namaskar and Namaz was with good intent. But what Azam Khan is saying is unfortunate. Such statements create tension in the society. When he was in power, he used to work towards dividing the society and even after his party's defeat, there seems to be no improvement in him," Hussain told ANI. Hussain further said that the people should be able to differentiate between the person (Azam Khan) who is trying to divide and the other (Yogi Adityanath) who wants to unite people. Earlier on 31 March, 2017, senior Samajwadi Party leader Azam Khan asked Chief Minister Adityanath if he would prefer to offer namaaz citing his earlier comparison of surya-namaskar with namaaz. Khan, however, on 30 March, 2017 said he would have been arrested, had he made such a comparison between Namaaz and Surya Namaskar. "Had I said what he ( Yogi Adityanath) said, I would have been handcuffed by now," said Khan.